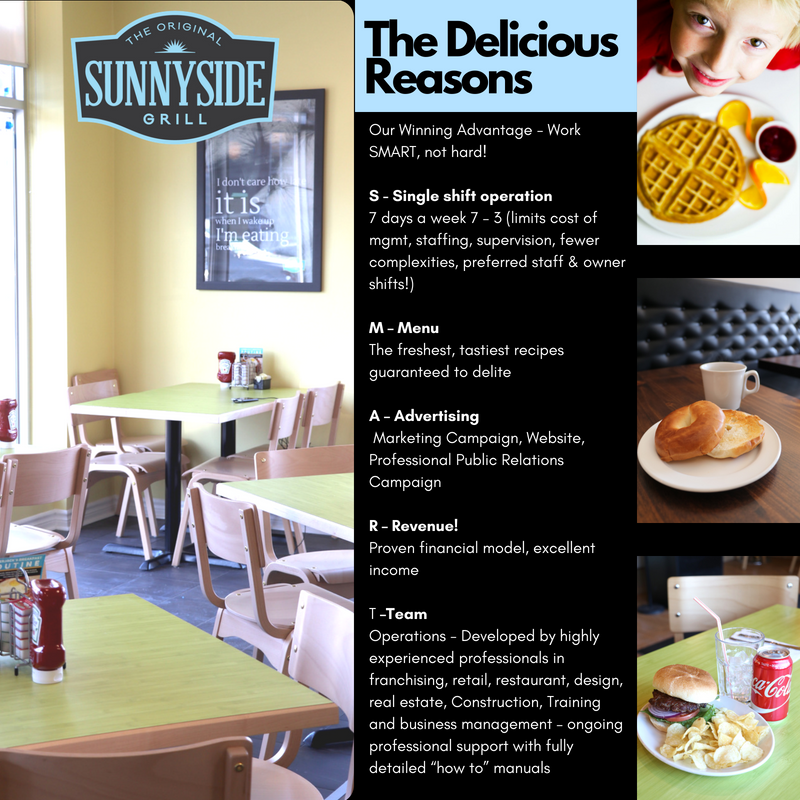 The Original Sunnyside Grill is looking for qualified entrepreneurs to introduce the Original Sunnyside Grill concept to communities across North America! 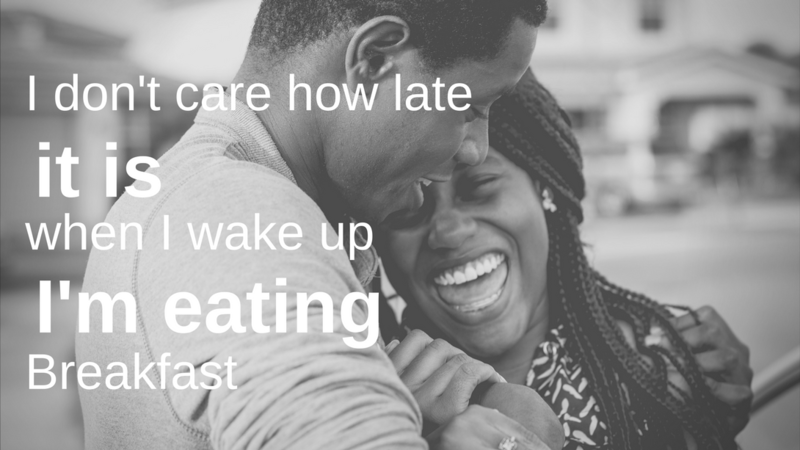 If your looking for a Unique Business Opportunity that delivers Impressive Financial Performance through a fun one shift operation – this is the opportunity for You! 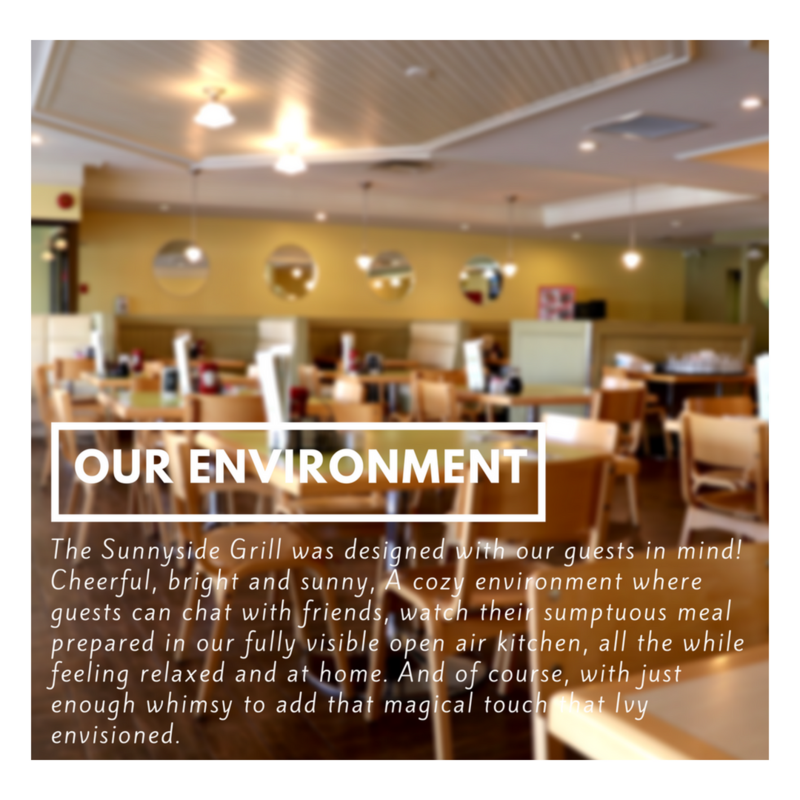 Sunnyside Grill welcomes enquiries from those interested in single operations, master franchises, multi-unit deals and territory development deals. 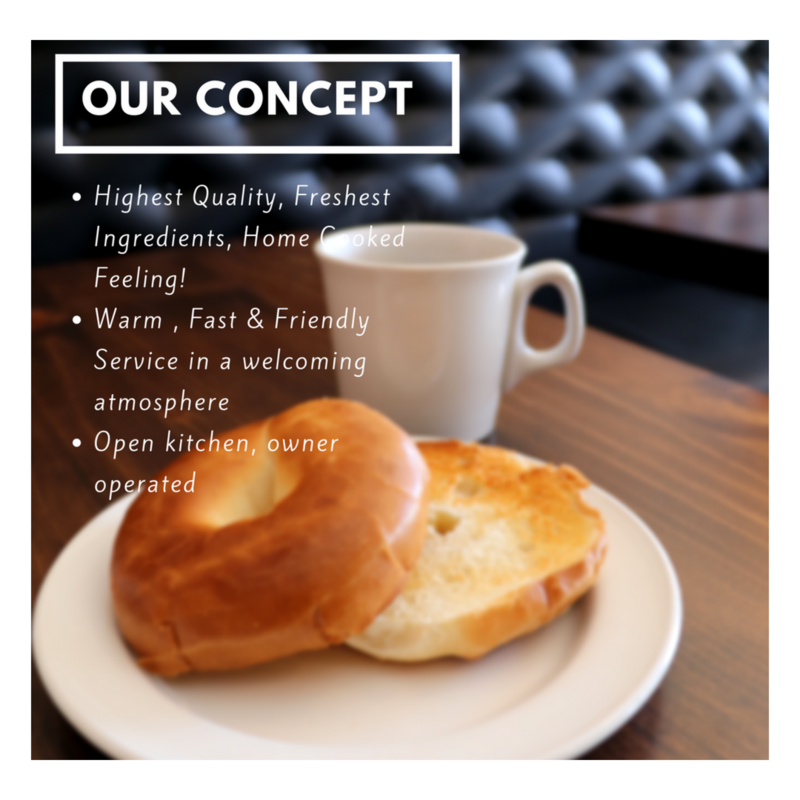 The Original Sunnyside Grill is looking for qualified entrepreneurs to introduce the Original Sunnyside Grill concept to communities across North America! If your looking for a Unique Business Opportunity that delivers Impressive Financial Performance through a fun one shift operation – this is the opportunity for You! 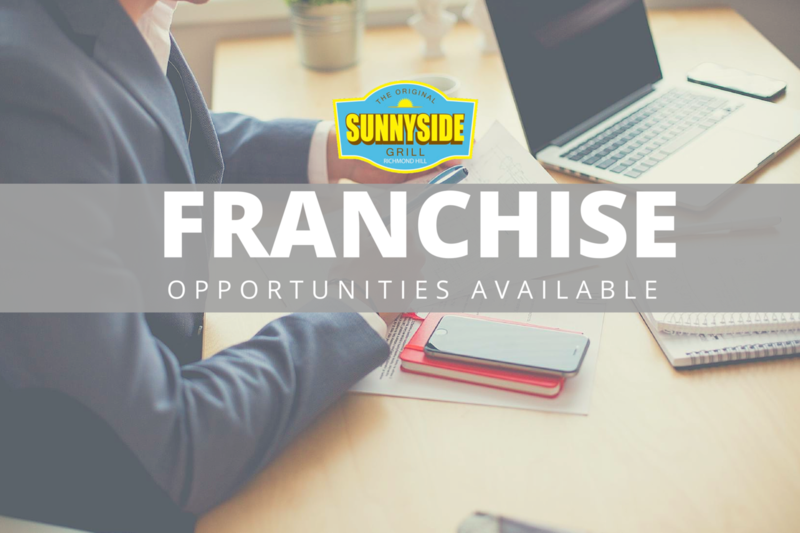 Sunnyside Grill welcomes enquiries from those interested in single operations, master franchises, multi-unit deals and territory development deals. The Facts – At a Glance! Listing on Website, Social Media: Twitter, Instagram and Facebook. Updated Daily.